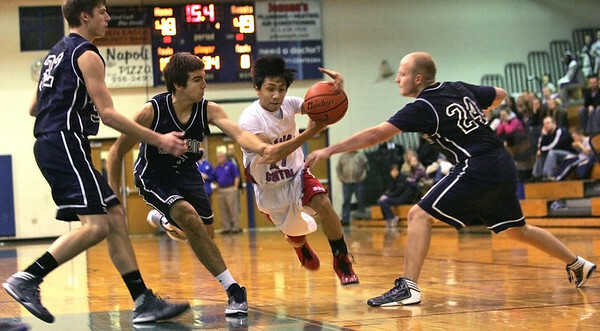 Cary-Grove beats Marian Central 62-53. Monica Maschak - mmaschak@shawmedia.com Cary-Grove Guard Matt Motzel dribbles around his opponents in a game against Marian Central during the Hoops for Healing basketball tournament at Woodstock High School on Friday, November 23, 2012. The Trojans beats the Hurricanes 62-53 in double overtime. Monica Maschak - mmaschak@shawmedia.com Cary-Grove Center Dean Lee goes for a lay up in a game against Marian Central during the Hoops for Healing basketball tournament at Woodstock High School on Friday, November 23, 2012. 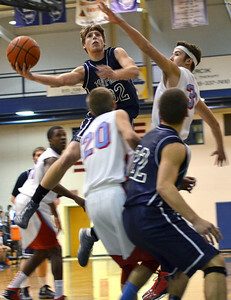 Cary-Grove won 62-53 in double overtime. Monica Maschak - mmaschak@shawmedia.com Marian Central Center J.J. Lindquist launches the ball toward the net in a game against Cary-Grove during the Hoops for Healing basketball tournament at Woodstock High School on Friday, November 23, 2012. 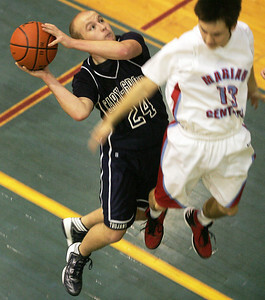 Cary-Grove won 62-53 in double overtime. Monica Maschak - mmaschak@shawmedia.com Marian Central's Derreck Caldez dribbles through Cary-Grove's defense during the Hoops for Healing basketball tournament at Woodstock High School on Friday, November 23, 2012. The Trojans beat the Hurricanes 62-53 in double overtime. 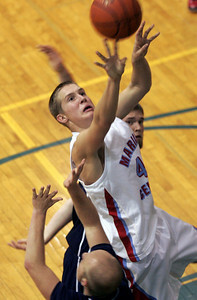 Monica Maschak - mmaschak@shawmedia.com Cary-Grove Guard Michael Krich jumpes to shoot the ball over Marian Central's Matt Yuk during the Hoops for Healing basketball tournament at Woodstock High School on Friday, November 23, 2012. 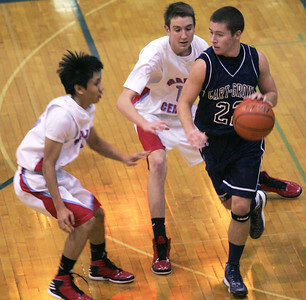 Cary-Grove won 62-53 in double overtime. Marian Central's Derreck Caldez dribbles through Cary-Grove's defense during the Hoops for Healing basketball tournament at Woodstock High School on Friday, November 23, 2012. The Trojans beat the Hurricanes 62-53 in double overtime.